Is the latest innovation in the old medical tradition of acupuncture. 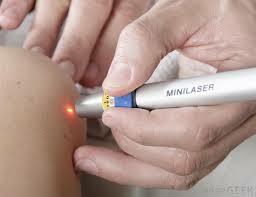 It uses low-energy cold laser beams — instead of traditional acupuncture needles — on specific points of your body. It unblocks and restores the healthy flow of Qi (life energy) through your acupuncture channels. I use laser treatments with patients who are needle phobic, with children, with very weak and sensitive patients, and in sensitive points of the hands and feet.